Simple, intuitive, and cost friendly. Enter orders faster and more accurately with fewer edits. CAKE Restaurant Point of Sale System accelerates your order process with customized workflows as well as on-the-fly menu and table adjustments. Restaurant proof durability gives you peace of mind. 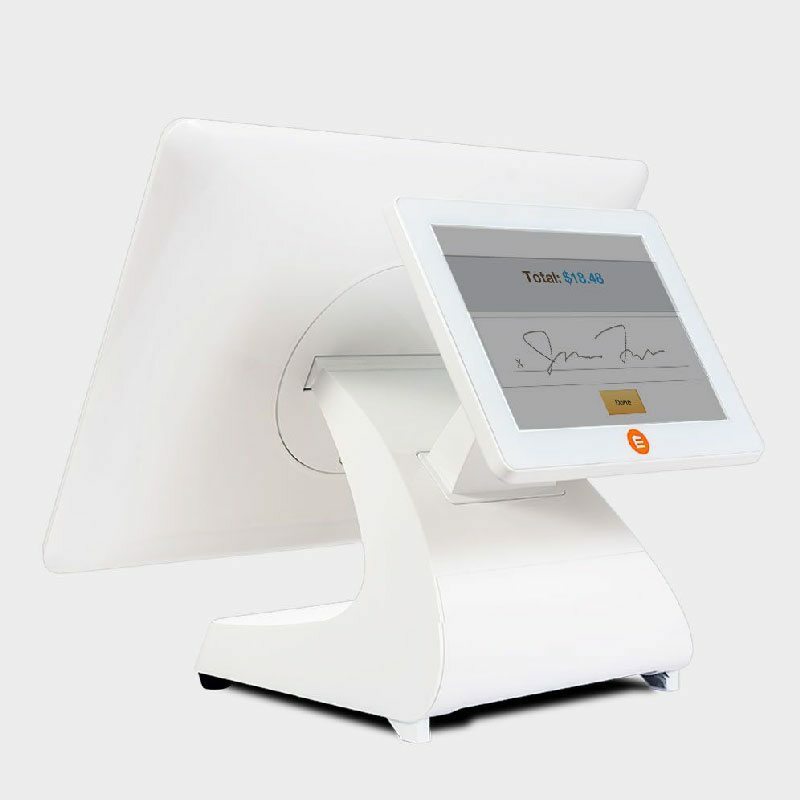 Our 15” splash resistant touchscreen gives you peace of mind, with the option to add a customer facing display for easy check out, convenient tipping, sign by finger, and e-receipts. Bring table side ordering or line busting to your restaurant. 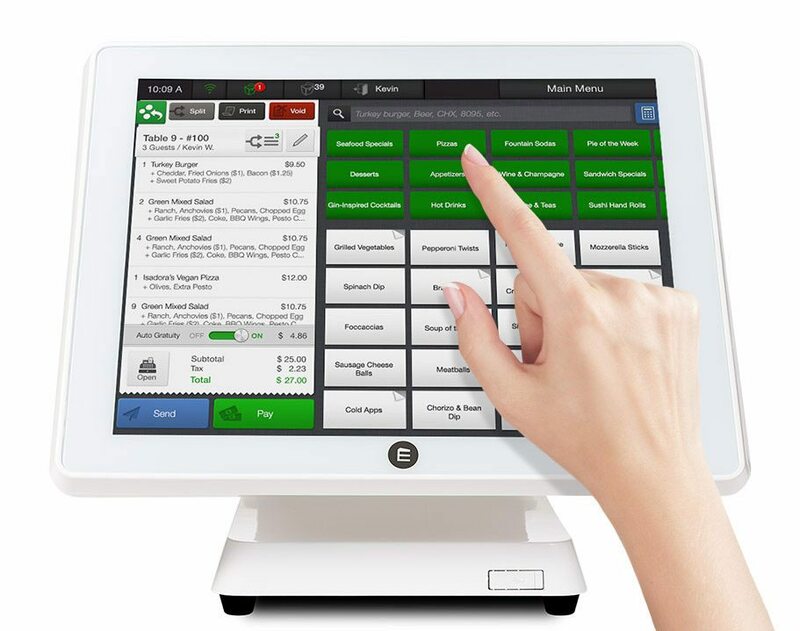 The convenience of a tablet with the security of a full restaurant Point of Sale solution. 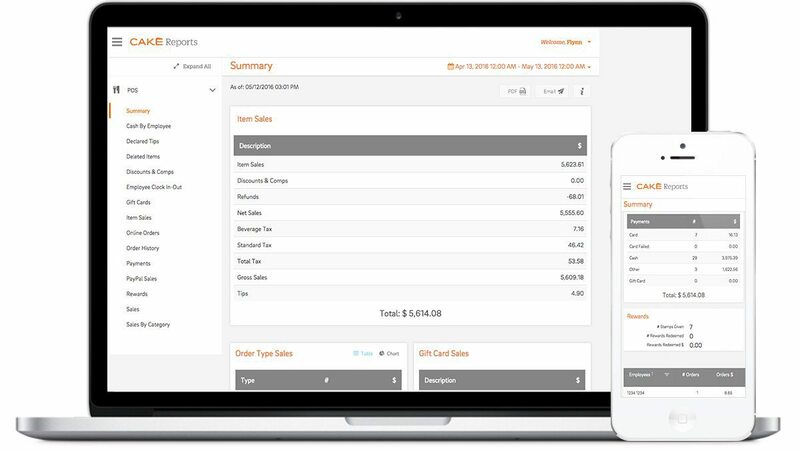 Take orders, send them to the kitchen, and accept payment on our mobile OrderPad solution. CAKE Guest Manager + CAKE POS System integrates to increase table turns by 6%. Connect your dining room to your Front of House for snappy seating and faster eating. Teams communicate while staying at their stations, making manual table status updates a thing of the past. Includes POS terminal, cash drawer and thermal printer. Access to CAKE’s cloud capabilities and 24/7 support, keeps your business running smoothly. *$69/mo lease pricing requires 3 year contract. +$69/mo software subscription pricing requires 2 year contract. Dynamic reports in the cloud, accessed from any device, put you better in control of your restaurant. Track everything in real time, including weekly category sales, wages, employee hours, and more. We make it easy to focus on running your business. Only pay when you use it. We help you fight back against fraud. Accept PayPal Order Ahead directly on CAKE Point of Sale. Seamless accounting integration with QuickBooks and QuickBooks Online (QBO). Seamless accounting integration with Xero. 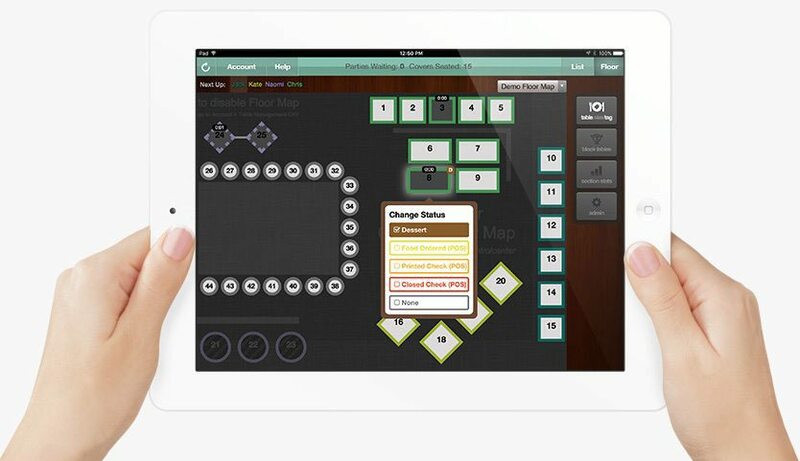 Restaurant focused inventory and order management. Employee scheduling software made for restaurants. Keep tables turning with ChefTab’s kitchen display systems. Connect to consumers who expect to reach you online. All information is securely stored in the cloud. Adjust your menu and prices from anywhere. 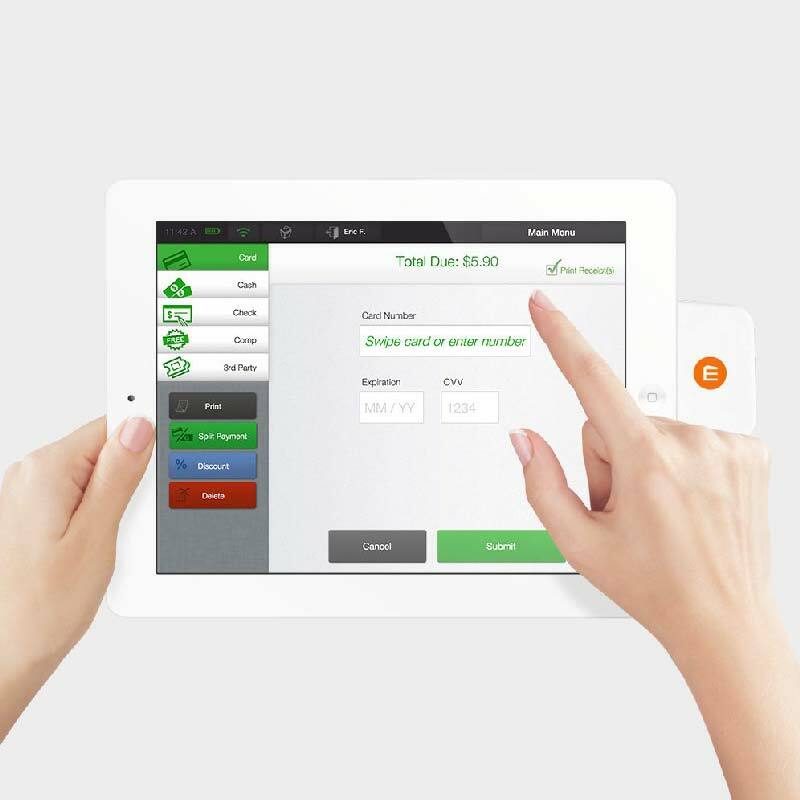 Bring the POS with you with our tablet-based OrderPad. View your reports from anywhere, anytime. Powerful 3rd party integrations to help run your business. Take orders and payments even if your internet is down. Counter Top Space 18″ x 18"
*CAKE has partnered with WorldPay US, Inc. for card present third party processing services and is a registered Agent of Citizens Bank, N.A. Providence, RI. CAKE offers more than one payments solution. Ask a CAKE sales representative for more information or contact CAKE at support@trycake.com.